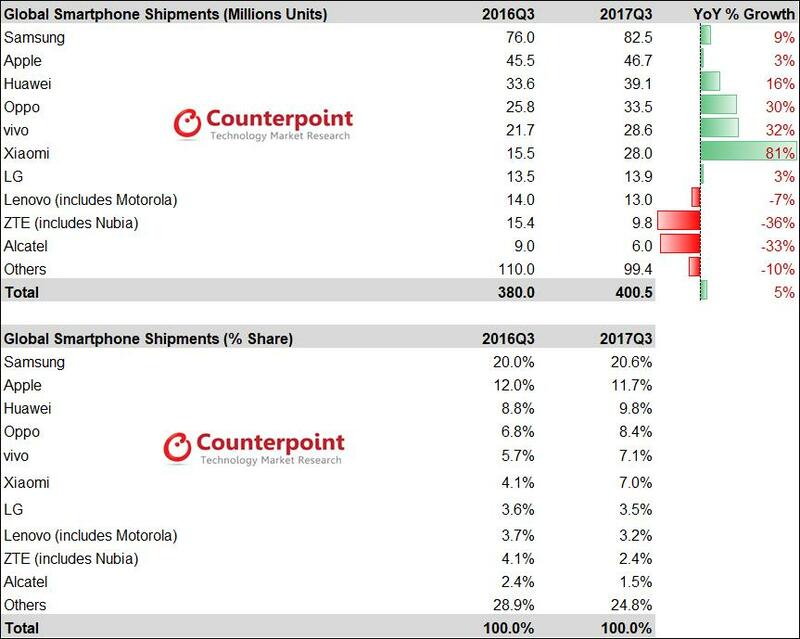 Global smartphone shipments grew 5% YoY in Q3 2017. 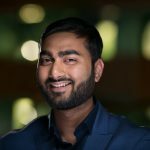 Top 10 players now capture 75% of the market thereby leaving just a quarter of the market for the remaining 600+ brands to compete. The global smartphone market continues to grow in single digits driven by growth in emerging markets. In such a scenario, we have seen key hardware differentiators proliferate to lower price points at much faster rates. For example, alternative aspect ratio 18:9 devices already penetrated sub $150 segment within two quarters of launch in the premium segment. This indicates how cut-throat the competition is within the industry. Brands are striving for differentiation across price bands. In addition, the increasing share of leading brands is putting additional pressure on smaller brands which can lead to consolidation in some of the OEM-crowded regions going forward. Most of the brands are now moving beyond regional boundaries to explore growth opportunities in new markets. During the quarter the leading smartphone players grew faster in international markets than domestic markets. Key OEMs have recently launched their flagships at higher price points as compared to the previous flagship launches. This indicates that leading smartphone players are now gearing up to target higher price points in a bid to position their devices as quality products in the minds of the consumers. 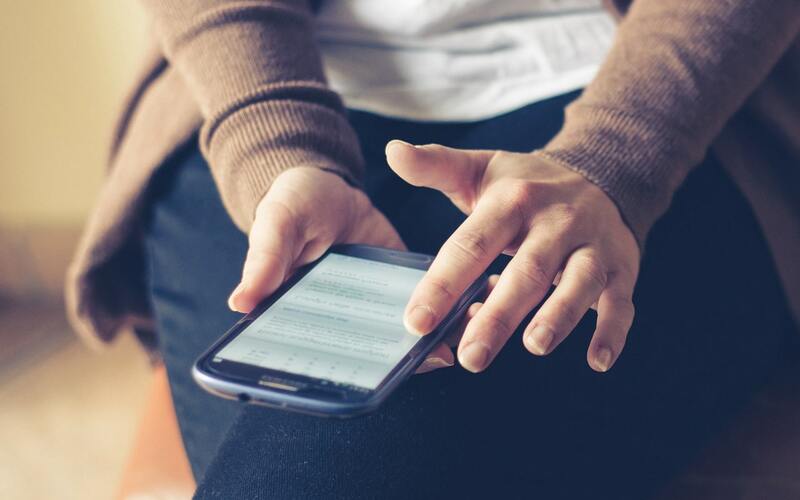 This trend is currently being driven by developed regions like China, Japan, and Europe, which pushed the overall average selling price of the device. Global smartphone growth was driven by the mid-tier segment. 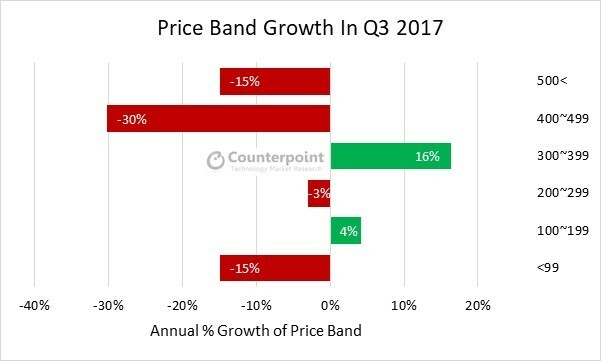 The $300-$399 price band became the fastest growing segment globally and also in China. Apple, Huawei, OPPO, and Vivo were the fastest growing smartphone brands in this fastest growing segment. Premium smartphones declined YoY due to increased mix of older generation iPhones, but the segment will likely reach record shipments driven by iPhone 8 and iPhone X sales next quarter.